The name James Taylor probably isn’t as popular as John Smith, but it’s certainly not an uncommon one. For those of us who grew up in a certain era, James Taylor conjures up images of a tall, thin singer and songwriter of laid back pop/rock songs. Of course, the best known tea person to be associated with Ceylon, the island nation off the southeast coast of India that we know today as Sri Lanka, is Thomas Lipton, who doesn’t need much in the way of introductions. But for tea drinkers there is another James Taylor worthy of mention, one whose activities in the world of tea predated the singing Taylor’s heyday by about a century and who beat Lipton to the punch by several decades when it came to growing tea in Sri Lanka. These days Sri Lanka is one of the top tea producing countries in the world but it was not always so. In the nineteenth century, when it was still known as Ceylon, Sri Lanka was a significant producer of cinnamon, of all things. Later the British turned to growing coffee there. Things went well for a few decades until around 1869 when a disease began to take a heavy toll on the coffee crops. By this time Taylor (1835-1892), who was born in Scotland, had already been in Ceylon for nearly two decades and had learned a few things from British tea growers in India. 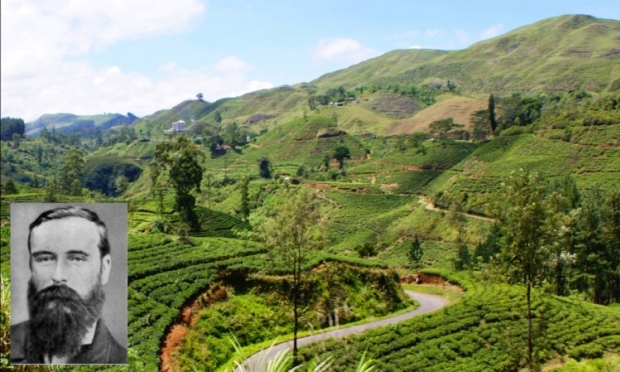 In about 1867, Taylor began growing tea in earnest at the Loolecondera coffee plantation in Ceylon. Tea had been grown in Ceylon on an experimental scale for nearly three decades but Taylor gets the credit for making tea into a commercial venture. Within a decade Ceylon tea had already begun to make its way to England. The fledgling tea industry in Ceylon grew considerably and by 1890, when Thomas Lipton stopped over on a trip to Australia he decided to invest in land there. Lipton was already a very successful grocer by this time and had gotten into the tea business in earnest just a year earlier. But it’s not completely implausible to speculate that if it weren’t for Taylor and his success with tea in Ceylon that Lipton might not have had the rousing success that he did with tea. For more interesting bits on Taylor, Lipton, Ceylon tea history and general info about Ceylon tea go to the source and try the Ceylon Tea Museum. Scones Still Reign Supreme at Tea Time!